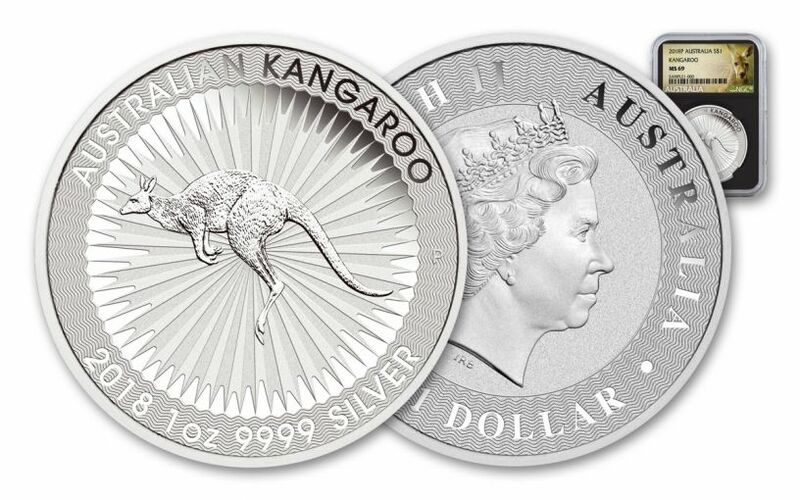 The 2018 Australian Silver Kangaroo Has Hopped into Our Vaults! 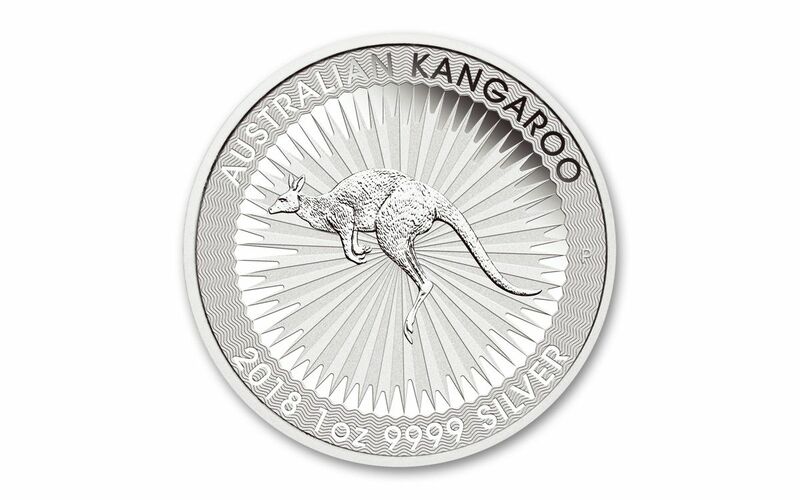 Straight from the world-renowned Perth Mint on the West Coast of Australia, the 2018 Silver Kangaroo has arrived! This gorgeous coin continues the Australian Kangaroo series' decades-long tradition of combining high precious metal purity with stunningly detailed design. For collectors and stackers alike, this 2018 coin has exactly what you want! ICONIC AUSTRALIAN DESIGN-- Dr. Stuart Devlin's jumping kangaroo returns for 2018, still perfectly captured in mid-leap by stylized rays of sunlight. The coin's title, year, weight and purity -- along with the Perth Mint's "P" mintmark -- are all on display, inscribed into a circular field of tightly engraved lines. PHENOMENAL ANTI-FORGERY PROTECTION-- The 2018 Silver Kangaroo's intricate design is more than just a technical achievement -- it's also a brilliantly clever way to thwart counterfeiters. For more proof, look closely at the Australian Kangaroo's title. You might need a magnifying glass to see it, but you'll discover a micro-engraved "A" hidden in plain sight -- find it and you'll know you have the real deal! BEAUTIFULLY CRAFTED, HIGHLY PURE SILVER-- As you can tell, this bullion is anything but boring! The artisans at the Perth Mint take extraordinary care in transforming one-ounce planchets of 99.99% fine silver into works of lustrous art. 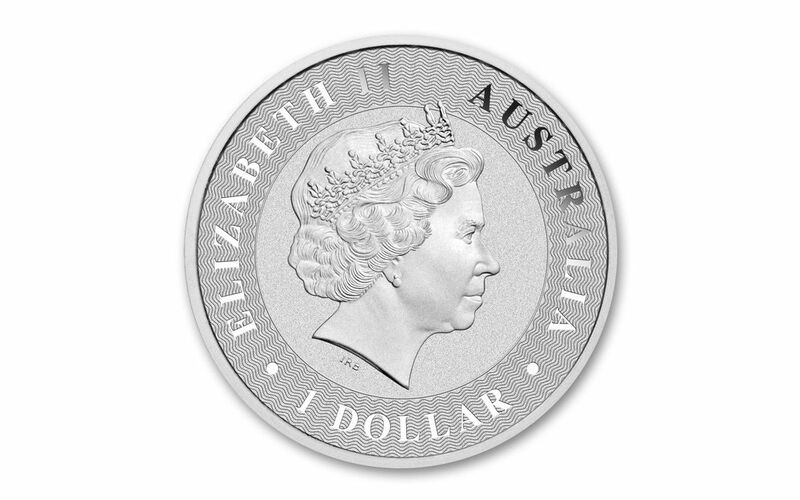 AUSTRALIA LEGAL TENDER-- Each 2018 1-oz Silver Kangaroo is one dollar Australia legal tender, a fact exhibited on each coin's obverse along with Ian Rank-Broadley's profile of Her Majesty Queen Elizabeth II. 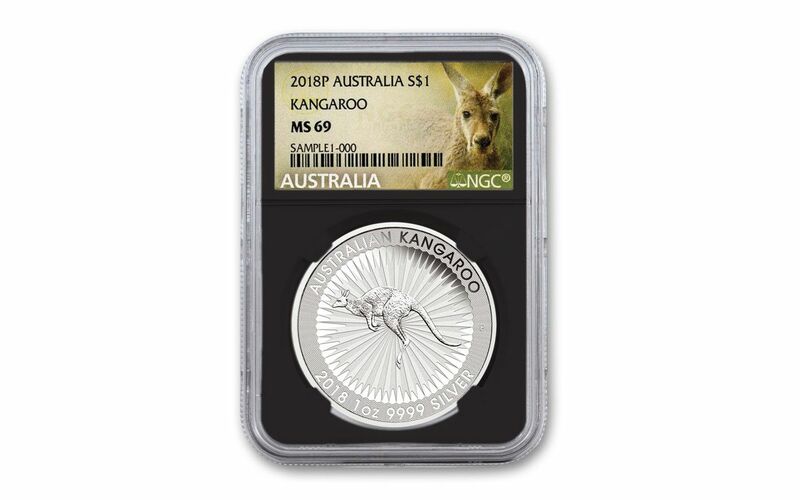 CERTIFIED NEAR-FLAWLESS -- Your coin will also come certified Mint State-69 (MS69) by Numismatic Guaranty Corporation (NGC), a distinction that means your almost-flawless 2018 1-oz Silver Kangaroo will showcase an impressive full strike and indistinguishable imperfections. In addition, your Silver Kangaroo will be sonically sealed in an acrylic holder with a black core insert -- giving you the best in protection while granting clear sightlines and perfect visual contrast for every beautiful detail. For silver buyers and collectors around the world, the arrival of each year's Australian Kangaroo is constantly met with high demand. Whether you're new to the series or a longtime fan, this 2018 edition is one not to miss. Don't wait another moment -- get yours now!